We know that accidents are unplanned, most oftentimes unavoidable, a disruption to daily routines, and stress budgets. 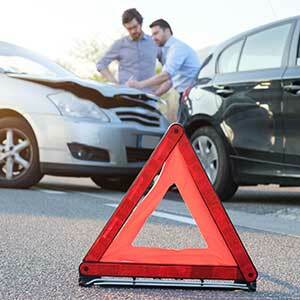 Our collision repair shop in St. Charles is skilled at repairing all types of vehicle damage, resulting from minor scratches to major fender benders. Our bumper-to-bumper service takes care of your vehicle from the inside out – from the mechanical inner workings to the paint applied in our custom-built drive-through booth. 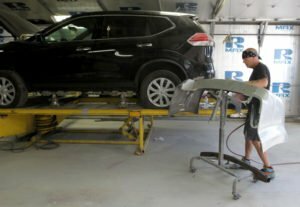 Our I-CAR and ASE-certified technicians provide professional collision repair services to all vehicle makes and models, both foreign and domestic, and honor all warranties. It is our goal to deliver excellent service and to return your vehicle to pre-accident condition. We make it like new! We work with all insurance companies and streamline the collision repair process to minimize the disruption to your schedule. We take care of submitting paperwork and work with your insurance company to make sure your auto body repairs are completed quickly, within budget, and to your satisfaction. This is our promise to you. Got damage but paying out of pocket? No problem! Let us show you how our collision repair services and pricing can fit within your budget. We eliminate the guesswork. Trust your vehicle’s collision and auto body repairs to the certified experts at Complete Car & RV Repair and know that the job will be done right. We don’t cut corners and don’t recommend any unnecessary repairs or service. Check out our gallery showing the excellent results you can expect. We know that accident bills can strain budgets. Check out our collision repair pricing and see how we compare! We are confident that you will be happy with our prices and that our personal service and superior customer care will exceed your expectations. 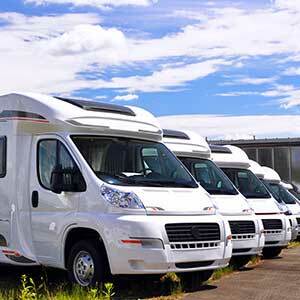 Choose the experts at Complete Car & RV Repair to help you maintain your car, truck, or RV. We are a participating member of Car Wise Estimating. Click here to read reviews. NEED A LIFT TO WORK? WE’LL GET YOU THERE!